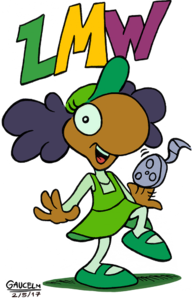 LMW-tan is the moe anthropomorphic mascot of the Lost Media Wiki; also known as "gijinka" or OS-tan, this is when any concept (including a website) is represented as a cute anime/manga-like girl! 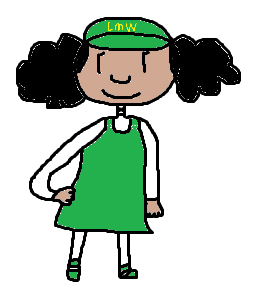 Previous website-based examples include Wikipe-tan and Trope-tan, so here is LMW-tan. 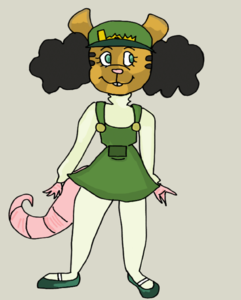 She was inspired by the protagonist of Cracks, a formerly lost animated short which is possibly the most famous piece of lost media on the Wiki. 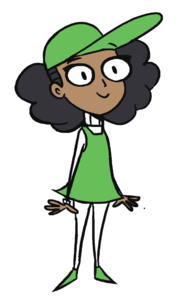 She is thus also wearing green and white, which is the color theme of the website. 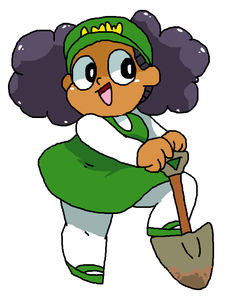 Originally, she was just some fanart done for fun, but gained enough appreciation to become the official mascot! 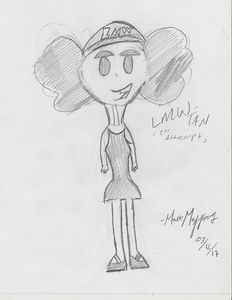 LMW-tan is a shy but curious and passionate little lady, who has a passion for old movies, TV shows, cartoons and even video games. 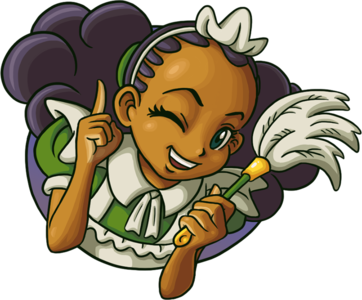 If she learns of such a thing that is lost and impossible to view by the common people, you can bet she will do the best efforts to obtain it, for the greater good! 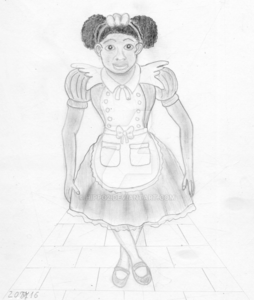 All original LMW-tan illustrations come courtesy of Gaucelm (aka Reynard). 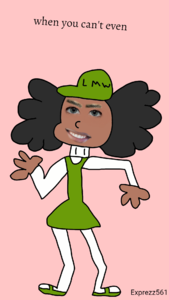 For miscellaneous "LMW-tan says" segments on the site. 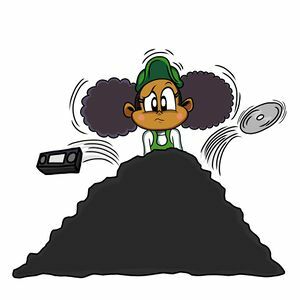 The Lost Media Wiki subsists on donations! LMW-tan appreciates donations very much. 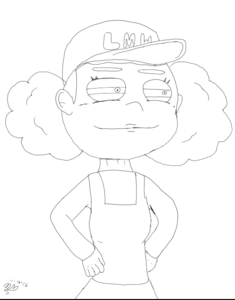 She thanks you. 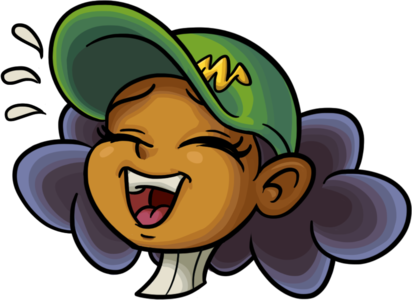 LMW-tan has done a lot of serious research to do quality articles on the Lost Media Wiki. Late nights all right!! 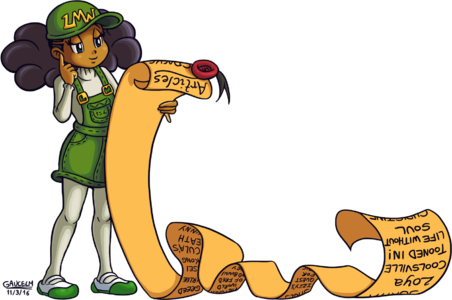 LMW-tan is proud of that long list of the things that are on the Wiki... Can you spot them all? 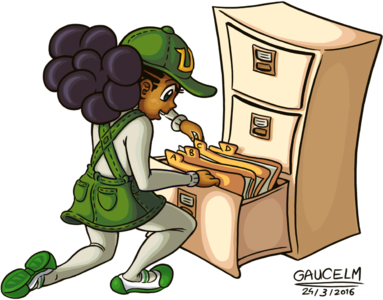 LMW-tan keeps the previous notice boards in a file cabinet, because being orderly is neat! LMW-tan needs to clean stuff up at the wiki! Let's do it with a smile! LMW-tan is sometimes annoyed at things! LMW-tan is sometimes amused by things! LMW-tan is up for Halloween, with an appropriately cracked pumpkin! 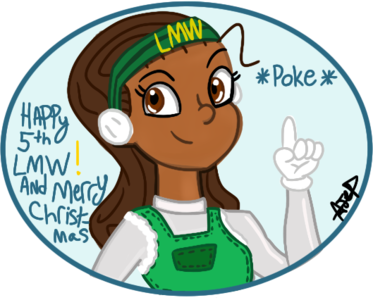 LMW-tan in the mood for Christmas! 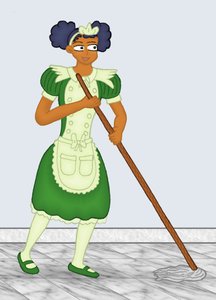 LMW-tan tells you the house rules! 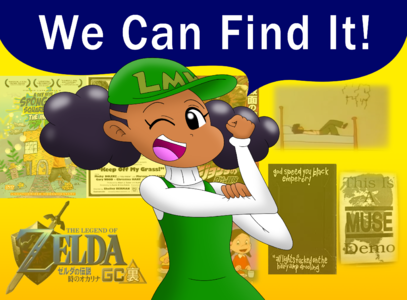 LMW-tan presents the lost films category! LMW-tan is shocked by NSFL content! LMW-tan is embarrassed by NSFW content! 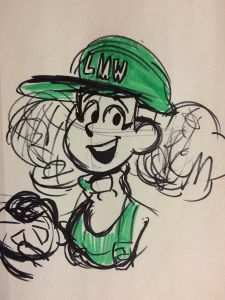 LMW-tan: enjoy yourself at LMW tonight! 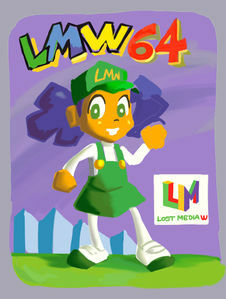 Concept art of a Nintendo 64 LMW-tan game cover! 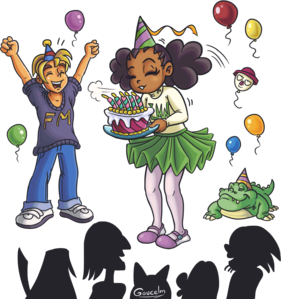 5th Birthday of the Lost Media Wiki! 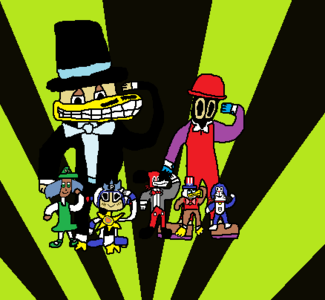 With FM-kun, the Alligator and the admins. 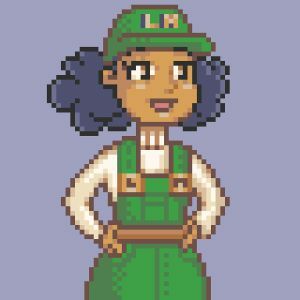 LMW-tan pixel art by MarsCat! 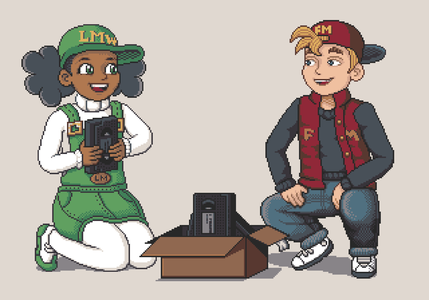 LMW-tan and FM-kun find mysterious tapes... pixel art by MarsCat! LMW-tan still digging, by Pashedmotatoes! 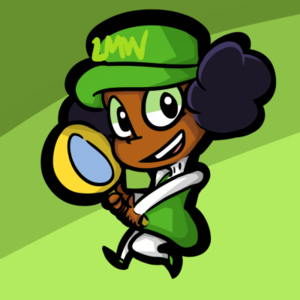 LMW-tan investigates some more... by TentacleBot! 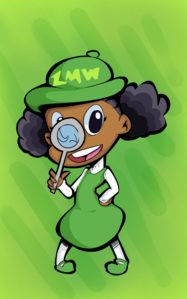 LMW-tan always on the watch, by TentacleBot! 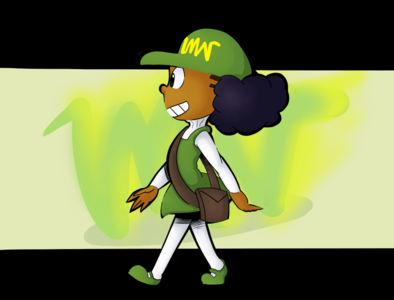 LMW-tan walking by TentacleBot aka Ditto! 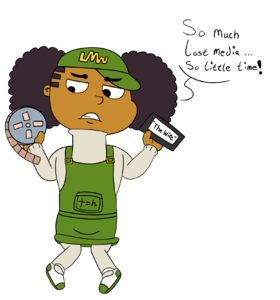 LMW-tan is a bit overwhelmed by the media she deals with... by Anthony Gonzales! 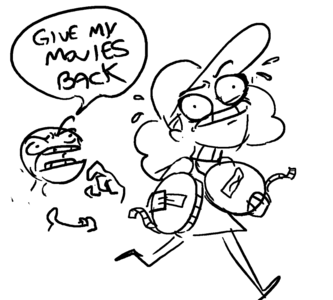 LMW-tan's unchecked obsession for lost media has led her down a dark path... by Hot Pocket! 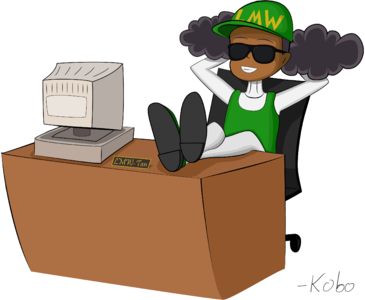 LMW-tan being the boss, by Kobo! 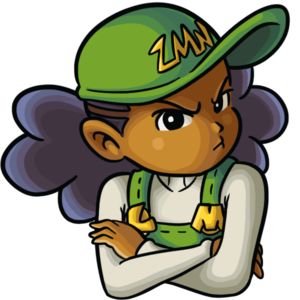 LMW-tan channeling Rosie the Riveter by Drawtoonz Studio! 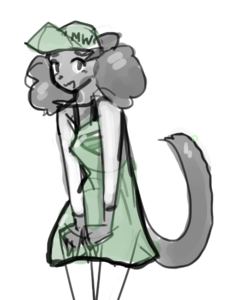 Catgirl LMW-tan taking care of the site's archives by paru! 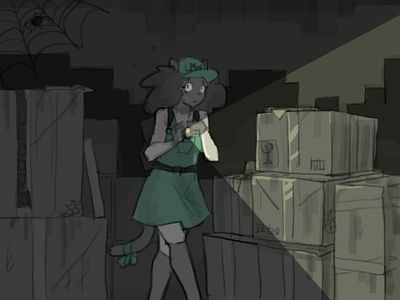 Catgirl LMW-tan investigates a creepy old warehouse, by paru! 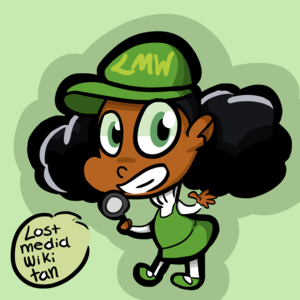 LMW-tan in a twist with lost media, by nova! 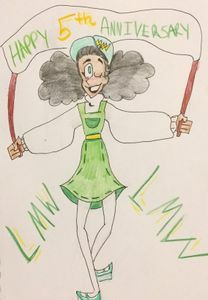 LMW-tan wishes a happy 5th birthday to the wiki, and also a Merry Christmas, by ScoobyDDoo! Pixel LMW-tan here for the wiki's 5th anniversary, by Apollo! LMW-tan enjoying the wiki's 5th anniversary, by Sooper aka scuttleman1127! 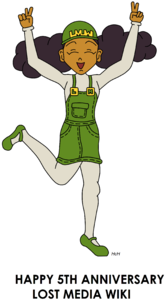 LMW-tan dressing up for the wiki's 5th anniversary, by Neo aka Ageha Glow! LMW-tan part of the party for the wiki's 5th anniversary, by Crimmy! LMW-tan celebrates the wiki's 5th anniversary, by HcH! 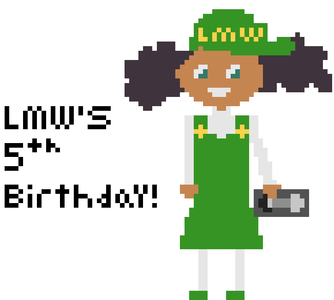 LMW-tan keeps on celebrating the wiki's 5th birthday, by RSTVideo! LMW-tan loses her hat, by RSTVideo! LMW-tan says it all, by suzukipot! 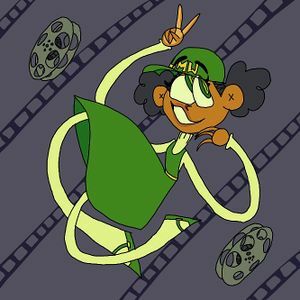 LMW-tan enthusiastic about one piece of lost media by Mrhypnosis505805! Can you guess which one it is? LMW-tan no Daibōken by RetroGameFan9000! 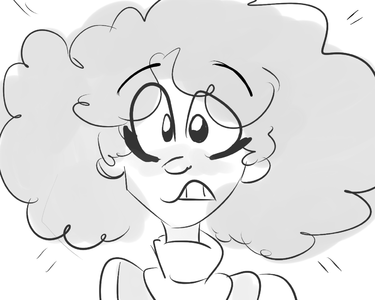 LMW-tan finds London After Midnight, but gets into a small accident... by Purdy! LMW-tan doesn't seem to quite have her head... by Starviend! LMW-tan does her computer magic, by Floobadoo! 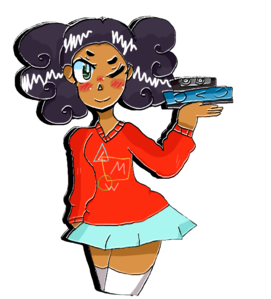 First solo FM-kun fanart, by KGC!